Television is the most significant mass media across the country. Telenovelas, series and news programming dominate the television programming. Both private and government owned channels operate at the regional, local and national levels. There are new cable channels coming up with most of them exclusive to the companies operating the channels. Internet television channels are also operating, some of which have particular themes such as LGBT programming. There are only 6 private channels operating in the country, RTS, Ecuavisa, Telerama, Teleamazonas, RTU, Radio y Television Unidas, Latele and Oromar Television. A total of four government run channels named Gama TV, Ecuador TV, Canal Uno and TC Television are also operating in the country. In 2011, more than 83% of the channels were privately held and the remaining 17% were publicly owned. Ecuador TV is a public service channel of Ecuador established in Oct, 2007 with the help of non- reimbursable funds of $5 million of the Economic and Social Development Bank of Venezuela. The channel came into being at the same time as the establishment of the Ecuadorian Constituent Assembly so that the sessions could be delivered live across the country. The channel also broadcasts content by independent international and national producers as well as documentaries and news programs from several international producing properties including TVE, BBC, Discovery, Voice of America, Deutsche Welle, teleSUR and ViVe. The live TV streams are also showing up in the country. 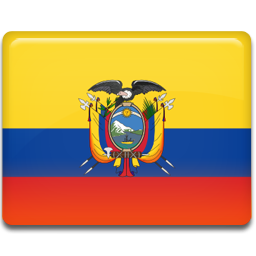 Ecuador TV also operates as a public service company and shows news and opinion content from a few countries, including the United States. The government of Venezuelan has explained its monetary contribution to the establishment of the channel as “a caring and selfless contribution of Venezuela as part of the policy of international cooperation in the region that drives the government of President Hugo Chávez”.